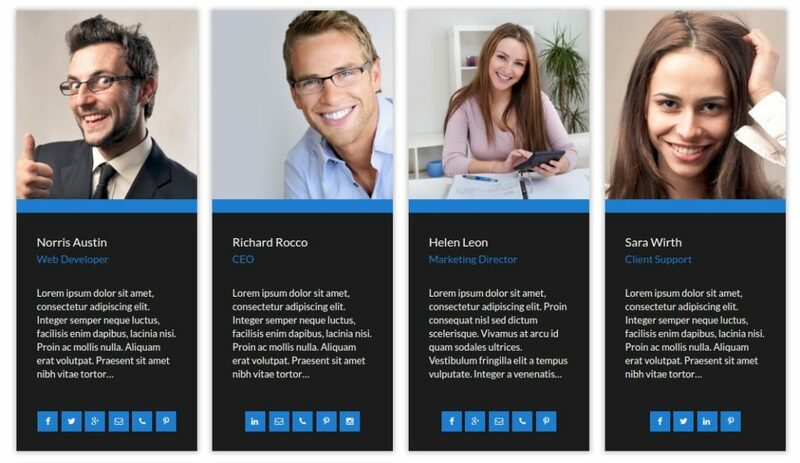 Easily create, edit and display your staff, group or team on your website. This plugin has 7 appealing layouts, and comes with a settings menu through-which you can manipulate the output easily. Our Team Showcase Pro allows you to easily create and display profiles of your team members & staff to display your site. 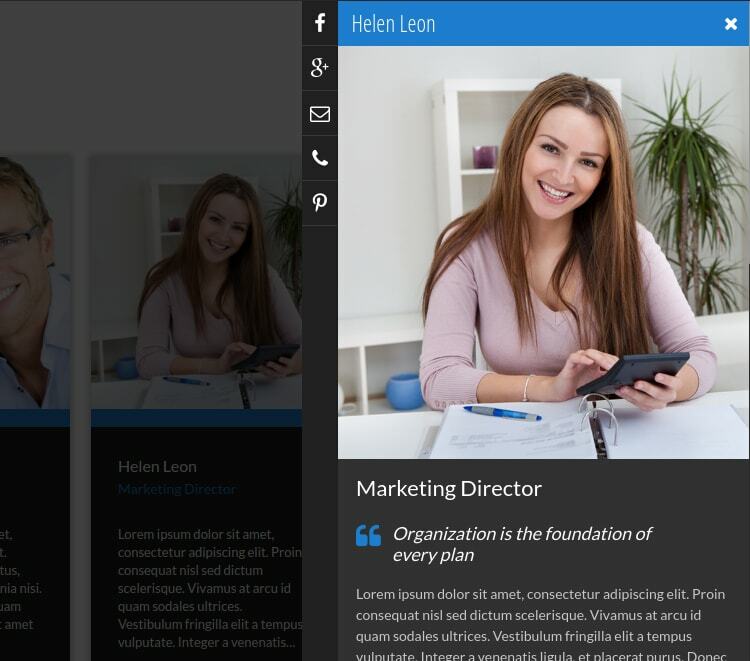 Your visitors will see a beautiful & animated layout of team members complete with profile pictures, links to social networks and their individual bio. Each member can be edited. 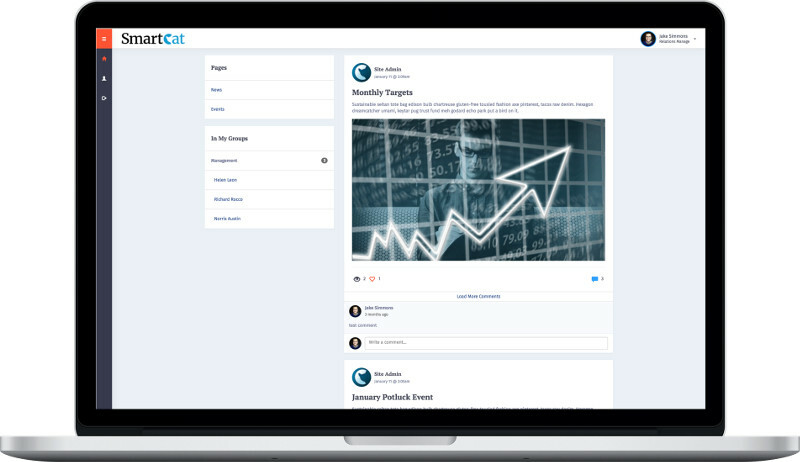 When you create or edit a team member, you will be able to add links to contact email, phone number, links to social media (including Facebook, Linkedin, Twitter, Google+, Instagram & LinkedIn ) as well as a personal website. You can also link team member profiles to Posts from your website - such as their authored content, or content that relates to their specialty. This way, you can keep the viewer on your site, and recommend content to them. First, install and activate the plugin, as well as your Smartcat Pro license. You will be automatically re-directed to the plugin settings page. Select your preferred settings and colors, add your staff, upload pictures and finally add the shortcode to the page, post or widget where you want to display them. You can also set the order that the members appear in with a user-friendly drag & drop interface. If your theme has a sidebar, you can use the extra custom sidebar widget to display the team members in the sidebar. The Pro version provides you with 4 additional and very unique Team templates and 3 Single Member templates. Impress your site visitors by using the pro version which includes a Honeycomb layout, Scrolling Carousel, Stacked list and an additional circular template. Re-order team members with a simple drag & drop. Terms: Plugin licence is valid for one year. For full terms click here. More questions? Contact us. Please be advised that the Member Portal uses PHP sessions to function properly. Buy Our Team Showcase Pro today!